Just get a new Inquiry? Sweet! 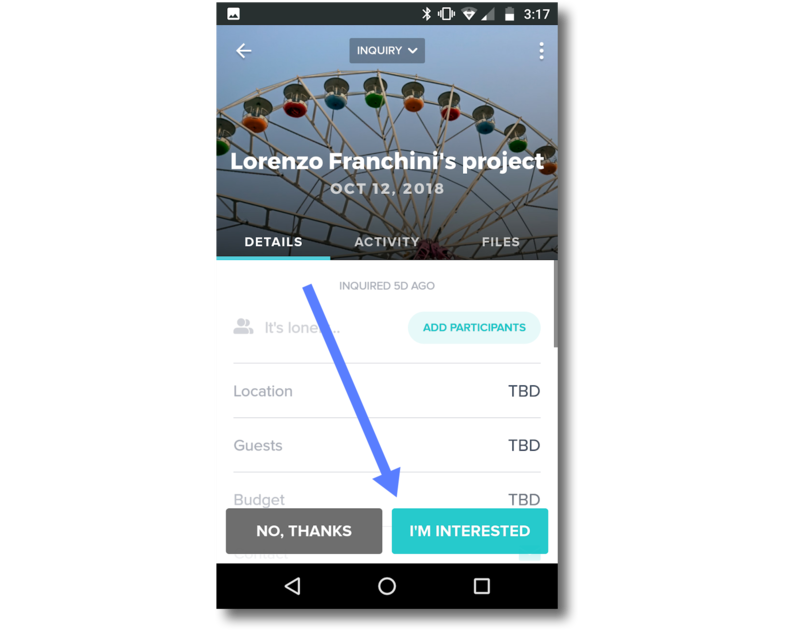 If you're on your desktop, you can easily access and respond to any new Inquiries through the Inquiry bucket of your Project Pipeline, but it's just as easy to respond to a new Inquiry via the iOS or Android app—and you’ll even receive an instant mobile alert that the Inquiry came in, if you have push notifications enabled. Here's how to respond to a new Inquiry via the app. If you need to decline or archive a new Inquiry, you can do that too! 1. 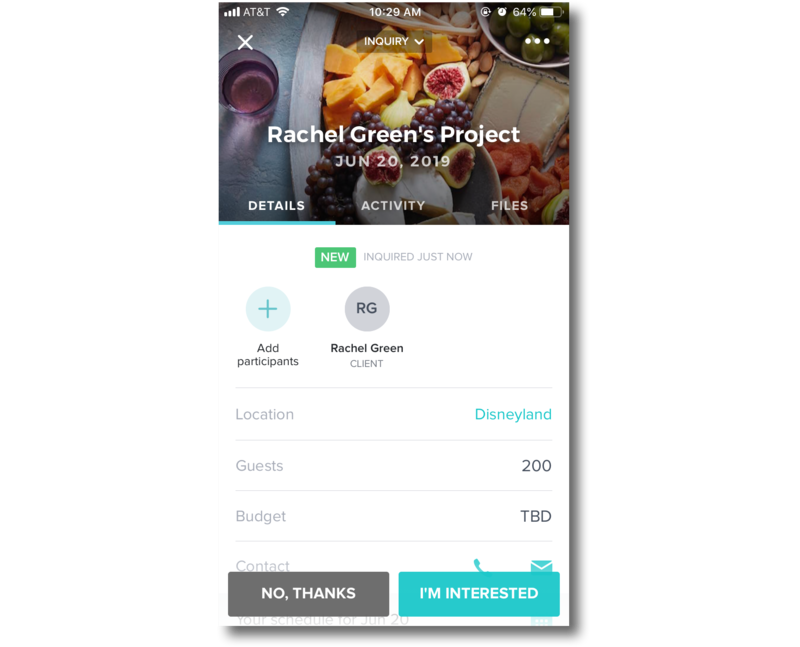 Open your HoneyBook iOS app. 2. You should see the new Inquiry in your Project Pipeline under Recent Activity, or you can select the Inquiry stage of the Pipeline to find the new Inquiry there. 3. Tap the new Project to open the Inquiry. 5. This will open the email composer screen, where you can type in a new message, or pull in any of your pre-made email Templates. 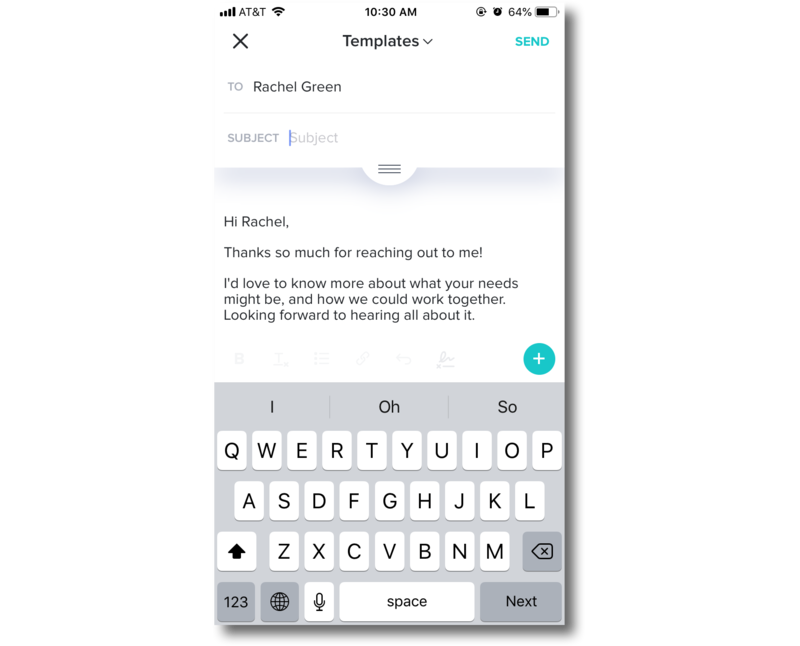 To insert an email template, tap the Templates menu above the To field of the email, then select your Template of choice. 6. Tap Send to send your response. 1. Open your HoneyBook Android app. 6. Tap Send to send your response! Your Inquiry will now automatically move to the Follow Up stage of your Project Pipeline, where you can continue corresponding with the potential client, sending emails or any files that you need. What does my client see when I send a file?